Dou Wei is a popular Chinese musician that continues to experiment with the music he creates. Unlike some of his counterparts like Cui Jian, Dou Wei’s music is not politically-oriented. Rather, he focuses on his feelings and his experiences in life when creating music. Although his music may range from pop-rock to goth, most of his work still retains its poetic characteristics and it’s ever-appealing charm to its fans. 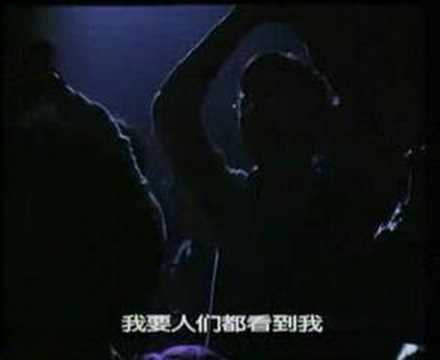 Below is a video of Dou Wei with his ex-wife Faye Wong performing Na La La x1. The video doesn’t show much though; but you can hear the lyrics and the audio really well. A musician, songwriter, trumpet plater, guitarist, and a composer, Cui Jian is often referred to as the “Father of Chinese Rock” as he was the first artist to break away from traditional Chinese rock and incorporate Western rock into his music. Lee-Hom Wang was born on May 17, 1976 and is a four time Golden Melody Award-winning singer-songwriter and actor. He has also received highly recognized success in the entire Southeast Asia. One of his notable contributions to Mandopop was the “chinked-out” music genre; a genre influenced heavily by traditional Chinese music. Wang is currently managed and records albums with Sony BMG. You are currently browsing the Chinese Music weblog archives for October, 2007.